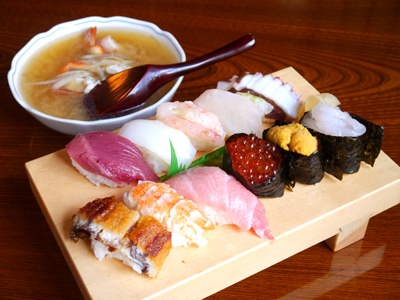 Enjoy sushi in a calm and relaxed tatami room in this shop. The prices are fixed, so tourists can also come in for the first time with peace of mind. This shop appeals with its prices, where you can have sushi at the same price for lunch or dinner. Come spend an elegant time in the spacious interior of this restaurant.